Today we are excited to present the BIG monthly Blog Hop that Papertrey Ink hosts for all of its talented customers to show off their skills! The Blog Hop is an ALL DAY EVENT! An Inlinkz list is posted below and you can add your link anytime up until 11:30PM ET. And don’t worry if you didn’t get a chance to make a project and play along, there is a contest for non-participants as well over in our forum in the designated thread. We look forward to seeing all of your creativity! A day dedicated to seeking inspiration through projects utilizing Papertrey Ink products. This event allows all of our customers who enjoy sharing inspiration & artwork with their peers do so through their personal blogs. Today, 10am ET until 11:30pm ET. It’s time to get ready for the holidays! In no time at all the wrapping will be in full swing. How does this pile of festive gifts inspire you? 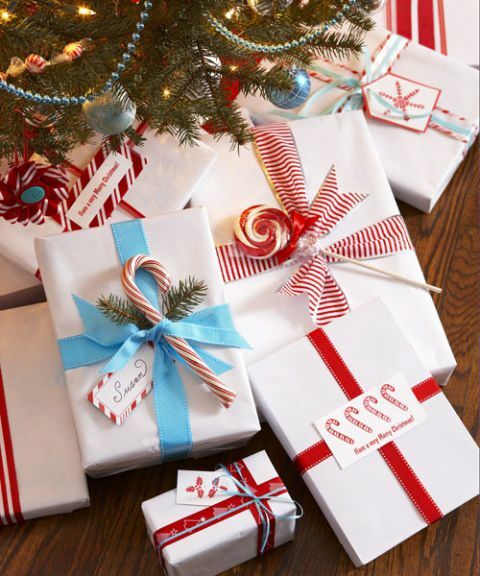 Maybe you pull out red & white ribbons and candy cane images from your stamp collection. Maybe you will want to play around with creating your own under the Christmas tree scene… We can’t wait to see what you create! Participating bloggers can add their link to the appropriate list here anytime between 10am ET and 11:30pm ET on November 25th within the InLinkz list below. 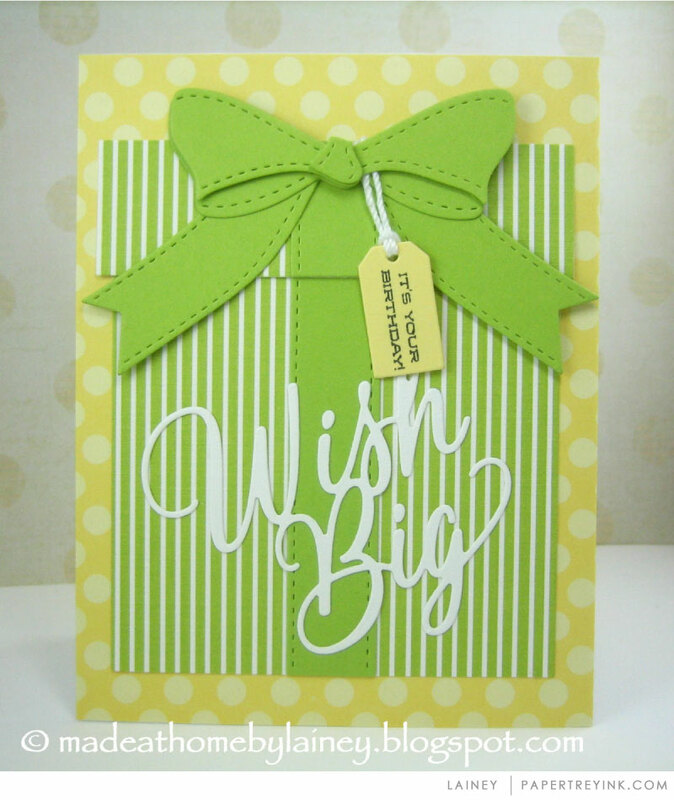 The title of your post should be “Papertrey Ink October Blog Hop Challenge”. Customers & participants alike can peruse all of the links and absorb all of the amazing inspiration that will be shared! After you have made your way through the list, simply return to our forum and participate in all of the fun! You can chit chat with everyone in the Blog Hop forum! Take this time to praise your peers efforts, discuss anything new you might have learned and which projects really offered something unique! 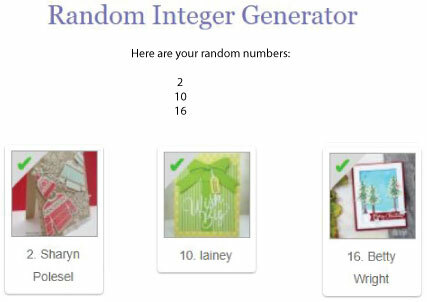 The three random blogger participant winners will be announced on morning of November 26th on our forum and highlighted here on the Papertrey Ink blog! Create a project while you are here, using the new inspiration you have gathered from the Blog Hop. You can post your projects in the gallery, even if you do not have a blog! Sharon Polesel drew her inspiration from the colors red, aqua and white with touches of Kraft and cocoa bean while sticking with the holiday theme. 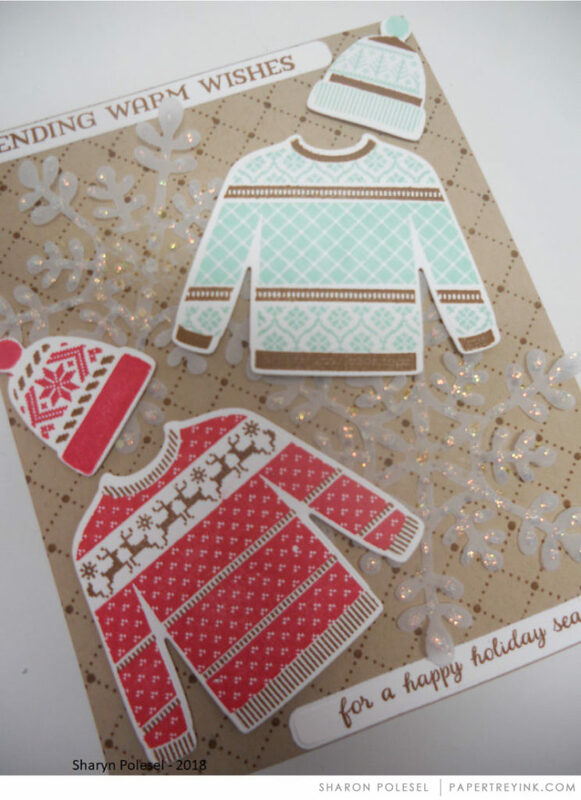 This card is adorable with the Winter Woolens sweaters! Lainey was inspired by the photo but it inspired her to create a birthday card with a gift on it. This beautiful design could be easily turned into a Christmas card by using different colors and sentiments. 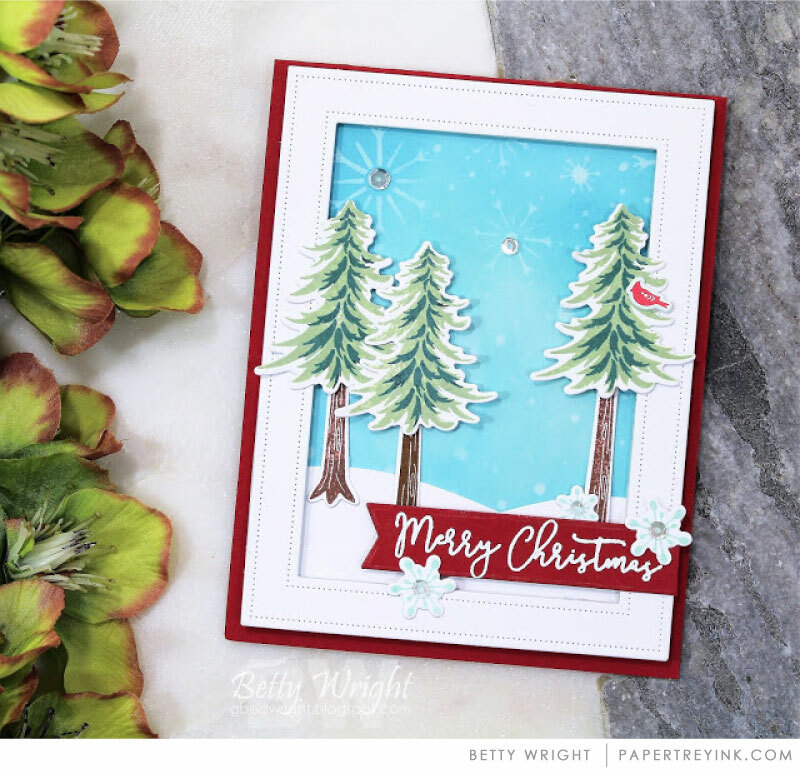 Betty Wright focused on the colors, snowflake, and the tree to create a peaceful outdoor scene. This is such a beautiful card and could be used to send general winter wishes as well. Congratulations to the winners! Please send a note to customer service and let them know the email address you would like your gift certificate sent to. Thank you to everyone who played along this month! FUN!!!! I better get to work! I assume you mean for the title of the blog posts to be November not October? Thanks for the challenge. Just wondering when to expect the random choice winners?